The following movies illustrate helpful principles for those seeking their soul mate. Why not kick back and watch one of these films while thinking about the corresponding statement? Ask the Holy Spirit for wisdom regarding your situation through insights stimulated by these modern day parables. Note that we are not endorsing the movies on this list. Some may contain content that you will find objectionable. Please go to the Parents Guide (View content advisory) link on the Internet Movie Database page to see why it received its rating. Then decide if you want to watch it. Let us know if you have a movie you’d like to recommend and what truth it illustrates. 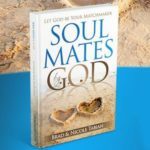 God wants to develop you so you are ready for the ideal mate. It is our sovereign God who directs us to our true soul mates. You will miss God’s ideal mate if you settle for just anyone. Great relationships are built on inner qualities not superficial characteristics.